Adwords Sitelink Extensions are exclusively for advertisers who know about Google’s Ad Extensions, sitelink extensions is a familiar term. This is a feature that lets users add several links to page on their sites as a part their Adwords advertisement. These are a simple tool to increase visibility and make campaigns more effective. In essence, these are additional links that send users to deeper content on your site instead of just on the ad’s landing page. With sitelink extensions, business owners and advertisers aim at providing a more relevant users experience by presenting extra and more targeted links. 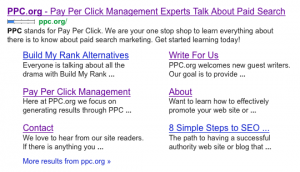 Whether an Adwords account is big or small, it can definitely benefit from Sitelink Extensions. There is, however, one catch here. Sitelink extensions can also be used for the top performing ads in a campaign so if an advertiser has just started out, he/she would not have enough data to convince Google. Sitelink extensions is, therefore, more a tool for seasoned businesses and advertisers who have long-running campaigns. Gather the data is not that difficult so advertisers should not feel disheartened. With sitelink extensions, advertisers can provider better user experience for very specific searches. It is easier for users to find relevant information or content that directs them to deeper pages on a site, so they don’t have to waste time looking around to find what they came for. Sitelinks also provider advertisers with data that they can use to improve their site and track pages that are generating the most user interest. Give shortcuts to customers so that they can quickly view and click to directly access sections of your website that are popular or very relevant to what they are looking for. Create independent links from the text ads that are already running instead of writing whole new ads just to incorporate sitelinks. In most cases, you do not even have to edit the ads. Change the anchor or link text and URLs whenever the need arises without any hassle. The ads can be kept up-to-date as per the requirements and preferences. How to Add Sitelink Extensions? Sitelink extensions are added through the regular Adwords campaign. Seasoned advertisers can insert up to 10 sitelinks and Google will then work by rotating the sitelinks and tracking their results. If a specific user search ends up triggering an ad to run with sitelink extensions, Google will automatically include as many as 4 additional links to the ad that has been triggered, and this will be in addition to the main link to the landing page for the ad. As with anything new that you might add to your Adwords campaign, sitelink extensions might take some time to pick up and start generating results. The key is to tailor not only your ads but also your site to target specific traffic or audiences. Sitelinks need to offer the correct balance between an increase in clicks and an increase in conversions. Advertisers often find it difficult to mange sitelinks on their own so you might want to get a knowledgeable professional involved till you have learned everything. While the same rules apply to text ads and sitelink extensions, in order to ensure that your extensions are correct and appropriate, here is what the Google policy requires:Link text: For each link, the link text should be 35 characters or less. It must be clear and relate to the advertisement or link’s landing page. Just by looking at the extensions, users should be able to understand what services are being offered. Advertisers cannot use symbols in the link text. Repeated punctuations, exclamation marks, etc., are not allowed. Also, the link text should not have any keyword insertion. The length of the URL should not exceed 1024 characters and clicking the link should never start a download. Every sitelink should lead to different content so that there are no repetitions; even tabs on the same page count as one sitelink. Third party links are usually not allowed unless Google has granted special permission or these are links to sites like YouTube, Facebook, Google+ or Twitter. As of now, Google does not let certain businesses run sitelink extensions. These include gambling and casinos, alcohol and medicines and healthcare.Based on the content of the ad and the subsequent landing pages, Google can reject a sitelink that is of ‘adult’ or ‘non family’ nature. At present, only those links that are safe and can be assigned a family status are allowed. It is important for advertisers to follow the sitelinks guidelines in order to ensure that their ads and links continue to run as desired. Failure to do so can result in complete disapproval of the ad or the sitelinks could stop running. When an ad or sitelinks gets disapproved, getting it back up and running again could take quite some time, so it is important to stick to policies and not violate them. Serious and repeated violations could result in suspension of the domain i.e., you would not be able to run Adwords advertisements, or suspension of the entire account. Once an account is suspended, all the advertisements associated with it stop running and this could be permanent. In cases that are really serious, advertisers may even be barred for opening any new accounts. Sitelink extensions go through a strict approval process so that Google is sure that there is no violation at any level. If your extensions have been disapproved and you cannot figure out why, it is best to first carry out a thorough check at your end and then get in touch with Google. Analyze which sitelinks were disapproved and when you find them, try editing them to make them more in-tune with the policies. Once an advertiser has edited the link and submitted it for approval again, the status against the link will change to ‘eligible’ and it might start running again. However, you need to keep an eye on the link to ensure that it is not disapproved again. 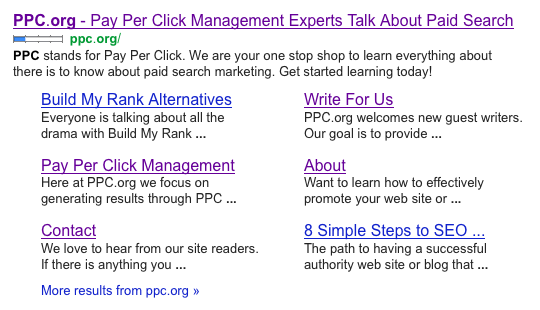 It is noteworthy that after an advertiser has created sitelinks, these might appear with the ads for some weeks and then stop appearing altogether. This could be a result of a delay in the review process that Google undertakes to ensure that the sitelinks do not violate any policy. In case the sitelinks stop appearing, it is best to check the Destination URLs to ensure that the links are working right and each sitelink directs visitors to a unique landing page, and not the same one. If you, as an advertiser, cannot find anything wrong with your campaign and sitelink extensions, you can always get in touch with Google.Sitelink extensions are a boon for advertisers, especially those running multiple campaigns and/or promotional ads. By providing links to deeper and more specific content, you can generate more quality traffic and increase conversions as well.